Chain link fencing is a versatile and economical way of bordering your property. It comes in a variety of weights, or gauges, that can stand up to a variety of uses. 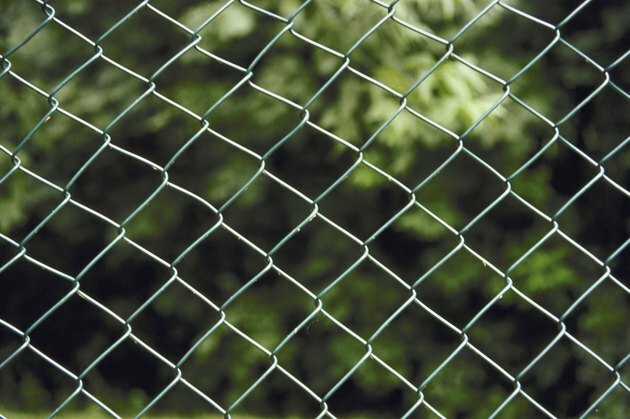 Chain link fence is composed of fabric, framework, fittings and gates. 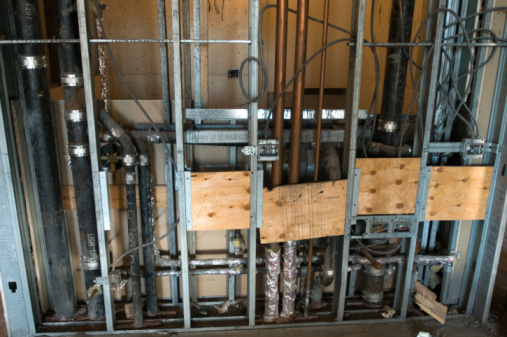 The smaller the gauge number on any of the components, the more steel was used to make it and the stronger the material will be. Chain link is a common and easy to install type of fencing. The fabric of a chain link fence is the visible barrier material with the diamond shaped links. It is important to choose a fabric based on its use and the gauge of the wire, type of coating and size of the mesh. Zinc is the most common coating but you can also get fabric in colored vinyl or polyester coatings. The mesh size may be 2-3/8 inches, 2-1/4 inches or 2 inches. The smaller the mesh size the more steel and the stronger the fabric. The diameter of the wire indicates the gauge. Although a smaller number means a stronger material, sometimes a more flexible mesh is needed, meaning a larger gauge. Gauges range from 13 down to 6 but the most common gauges are between 11-1/2 and 9. The 9 gauge is referred to as "light commercial duty" and is most often found in public and government projects. It is considered better than the 11-1/2, which is not as strong. The most common gauges correspond to certain inch measurements. A number 6 gauge is .192 inches, while a large 12-1/2 gauge is .099 inches. The number 9 gauge is .148 inches and the 11-1/2 is .113 inches. That makes the difference between the 11-1/2 and 9 gauges .018 inches. The mesh is between 2 and 2-1/2 inches on the 11 gauge fabric but about an inch smaller on the 9 gauge fabric. This just indicates the size of the diamonds in the fabric. The smaller and more numerous the diamonds, the stronger the fabric, as in the case of the 9 gauge variety. In addition to the gauge, choosing chain link should also take into account the height of the fabric and the amount of zinc coating applied to the wire. The American Society for Testing Material has designated the standard as A 392-96. The zinc protects the steel from corrosion. The standard is 1/2 inch per square foot coating. Framework set in concrete and die-cast fittings are the final considerations on the fencing. These need to be chosen to accentuate the tensile rating of the fabric and enhance the strength needed for the fencing.